Korean Fried Rice is a variety of fried rice that is uniquely flavorful and delicious. 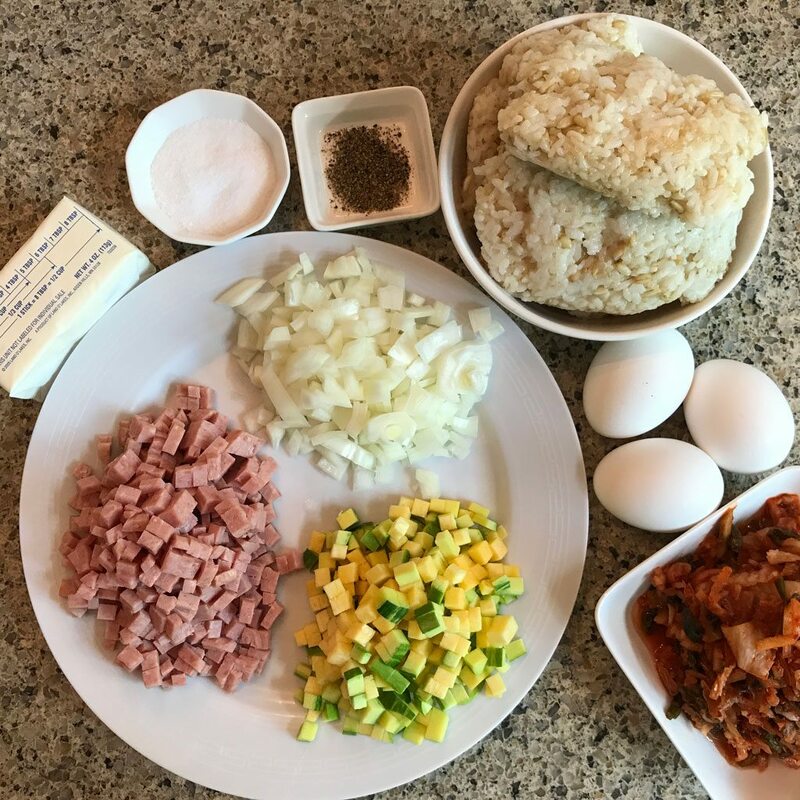 You will be surprised to know that Korean fried rice is incredibly simple to make if you know three things about making fried rice the Korean way. These methods for fried rice result in the Korean signature flavor that everyone craves. 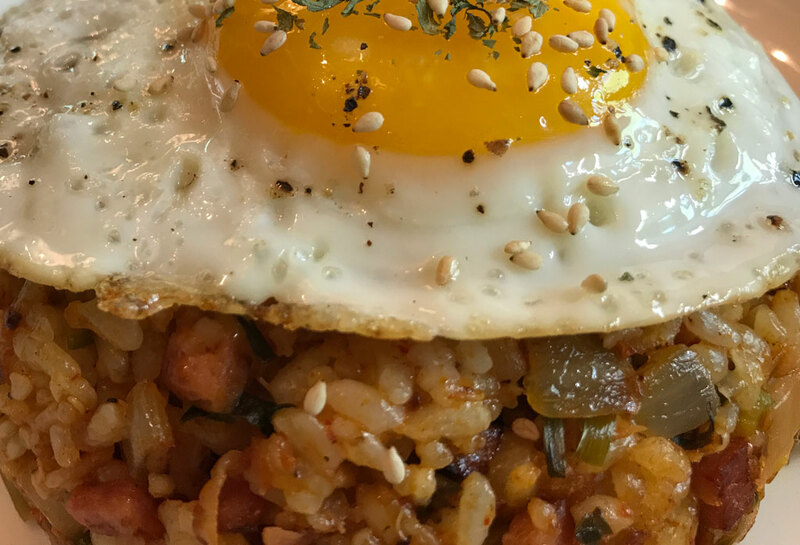 What makes Korean fried rice different is that it breaks away from the fried rice norm. 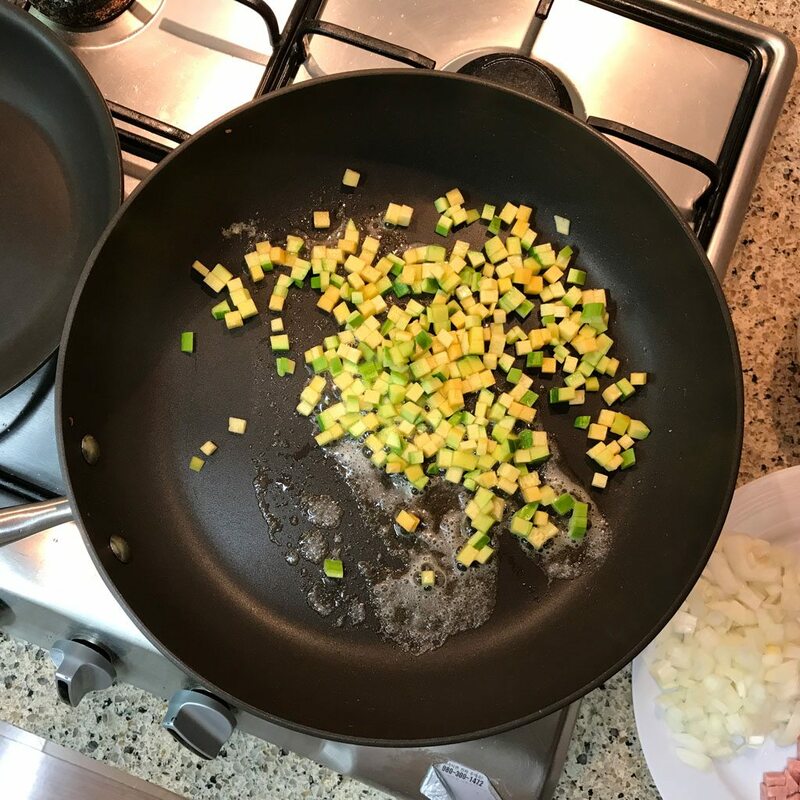 It uses a particular ratio and variety of vegetables and different cooking methods than the normal way to make fried rice. Leading to a dish that is light in color, taste, and texture with a unique signature quality everyone loves. 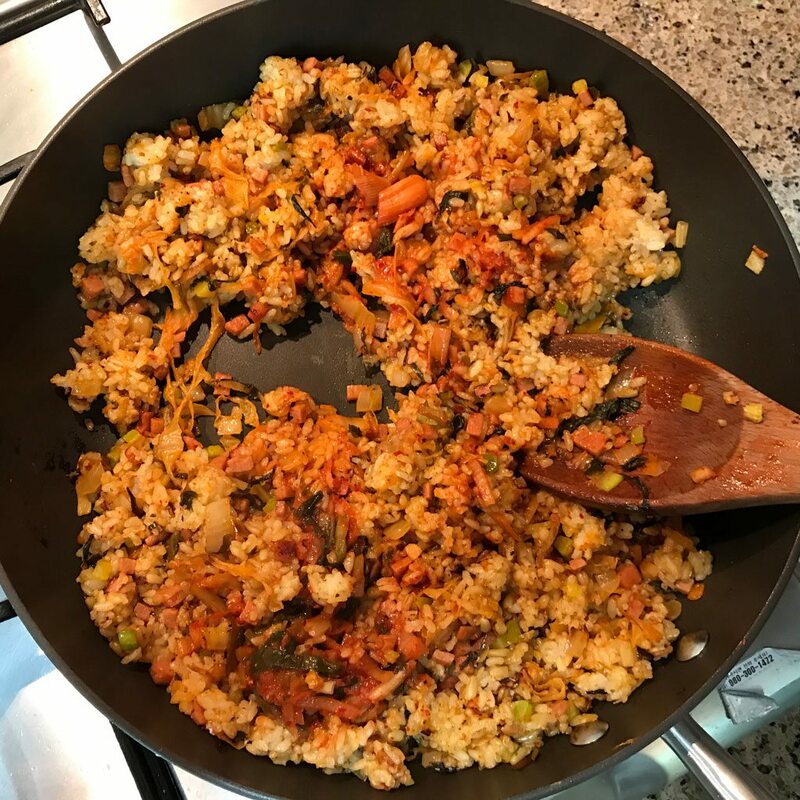 Kimchi Fried Rice is an all time favorite by Korean food lovers. 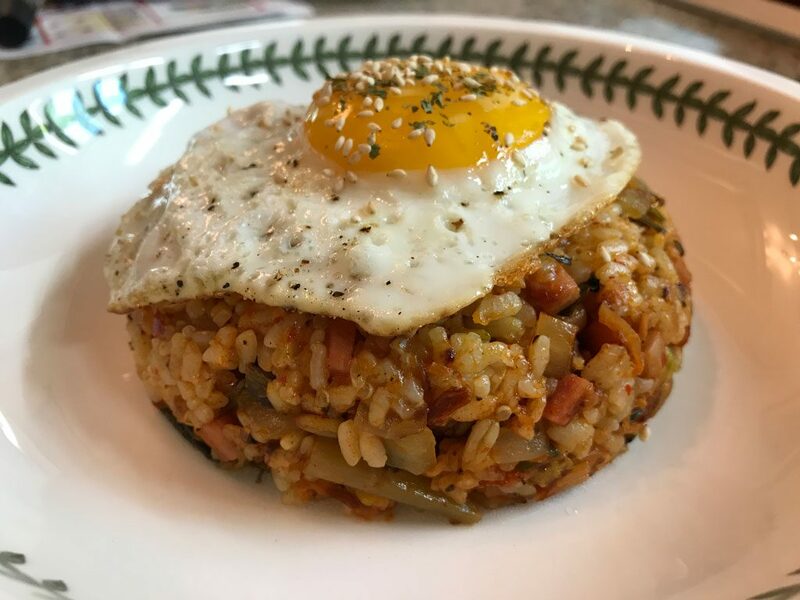 Kimchi fried rice is packed with sweet, sour, and savory flavors. Mouth watering yum yum. 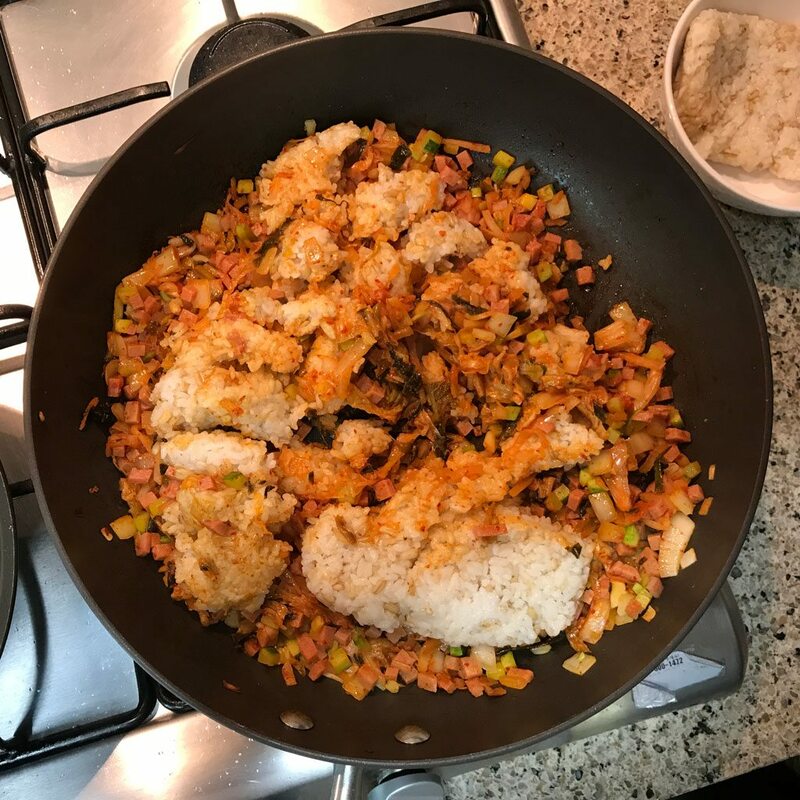 The first thing you about making Korean fried rice should know is that the Korean method does not call for soy sauce, and is one of the reasons that this dish results in a lighter color and taste. Many people make fried rice at home with soy sauce and end up with a salty tasting dish that lacks deep flavor. In Kimchi fried rice the sauce from the kimchi is used to liven the flavor and not use soy sauce. 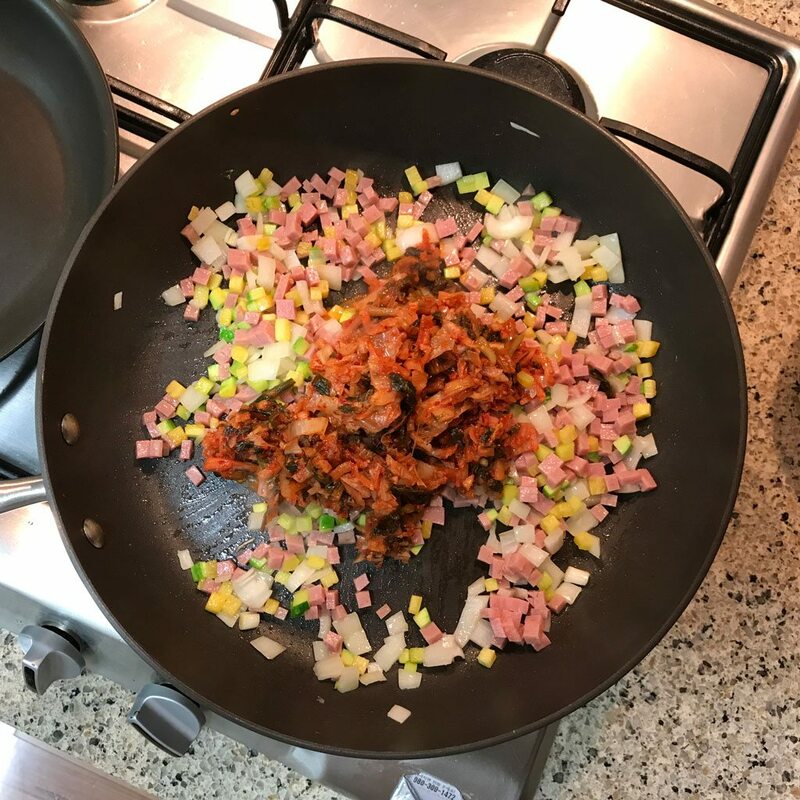 Instead the Korean way to make fried rice relies on the flavors developed from the ingredient combinations such as kimchi and the cooking method to impart flavor. 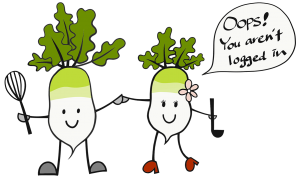 There’s two more things to know about this recipe that we want to share with you. We reserve our best tips, tricks, and secrets for registered members or people who will share our content. Please either login or create a free account by registering or simply use a social media account to shrare. Gather the ingredients. Then read the tips found here. 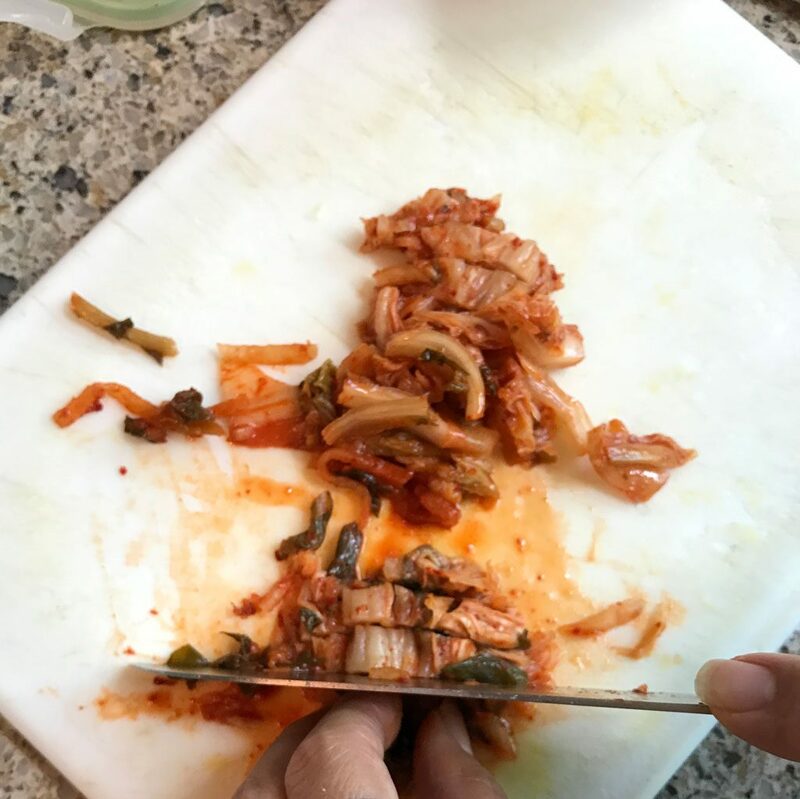 Chop kimchi about (1/2inch, 5mm) thick. 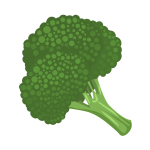 Preheat a stainless steel or cast iron skillet on a medium heat with butter. Use enough to coat surface. Add zucchini. Cook for 2-3 minutes. Add onions, cook for 3-5 minutes or until tender, stirring occasionally. Add spam and kimchi, cook for 3-5 minutes, stirring occasionally. Add rice, break it little by little, and mix it well with all the ingredients. Add red pepper paste, stir and mix even. Cook for another 10-15 minutes(Let rice burn on the bottom a little for crunchy texture). Stir all the ingredients together, cook for another 5 minutes. Add the whipped eggs, and stir them in. On the side, make an egg sunny side up. Once the whipped eggs are cooked into the ingredients remove from heat. Form and compress rice in a container and place the formed rice in a bowl. 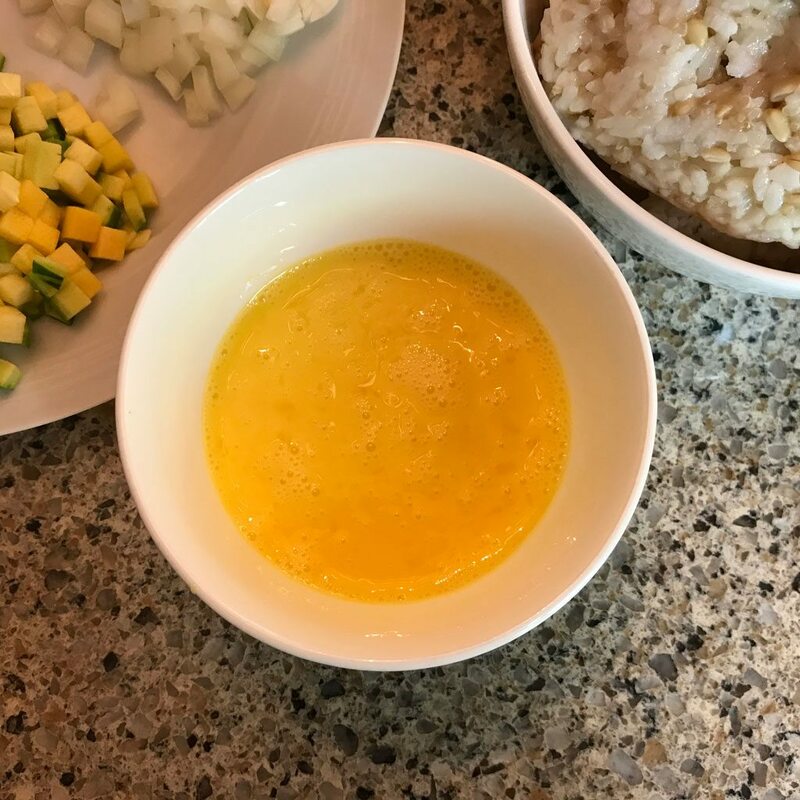 Serve the rice in a bowl with a sunny side up egg on top. 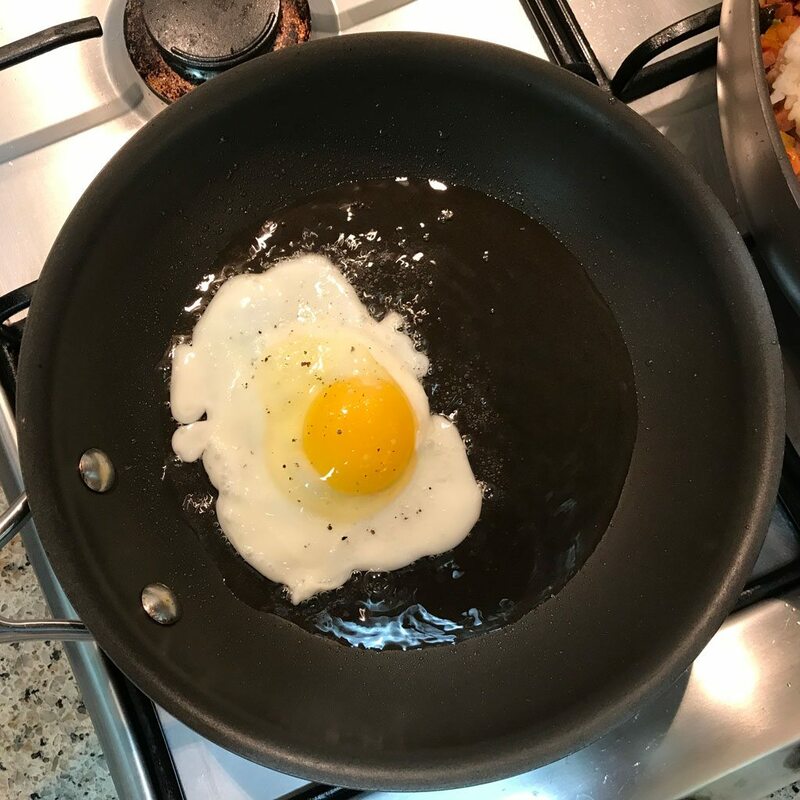 The oil listed in the ingredients section of the recipe is the amount of oil that is expected to be absorbed by the egg during the pan frying. It is there for the nutrition calculation, and not intended as the amount that you will need to fry an egg. 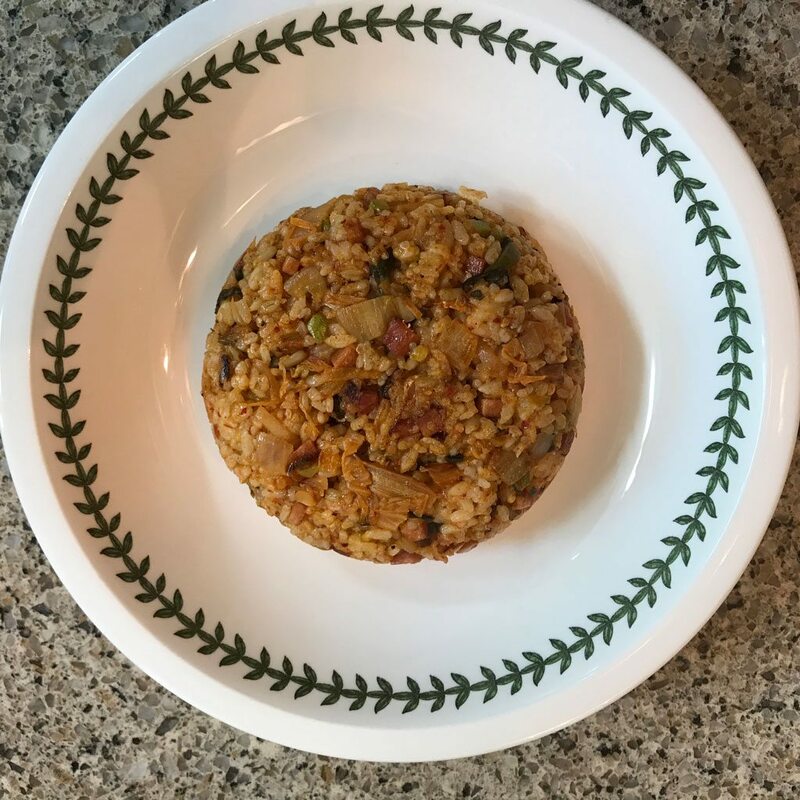 Please use a heart healthy oil for making Kimchi Fried Rice. Be sure to use a wok that is made for stir frying. 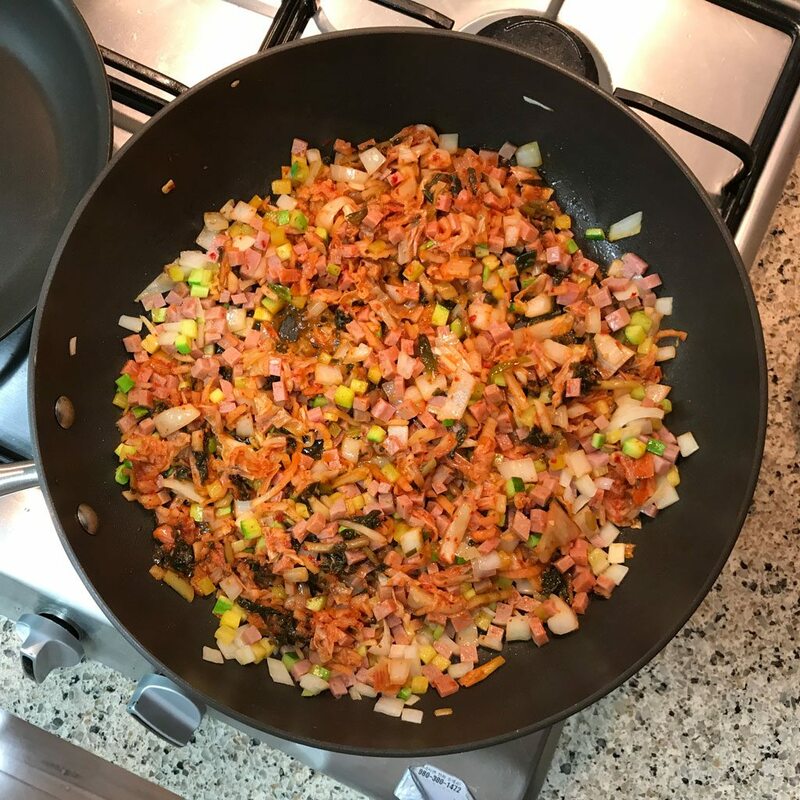 Making fried rice in a wok that is made for stir fry is much better than using cheaper flimsy woks that stick to everything. A cast iron wok works the best and is ideal for making fried rice, however I also use stainless steel on occasion. 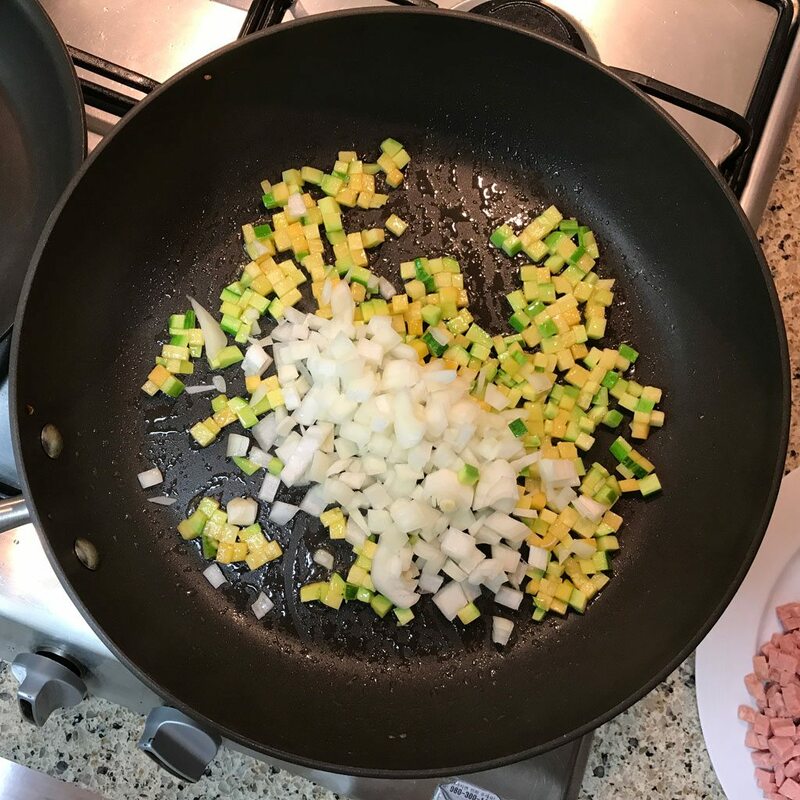 When you cook a fried rice you want wok that will not stick to the starch in rice. The surface of a cast iron wok is ideal for making fried rice. With a cast iron wok your rice won't stick as much to the wok after proper seasoning. This may take awhile for you wok to become properly seasoned, and rice make stick or cake on your cast iron wok in the beginning. But once you have seasoned the wok it won't stick as much to your rice. Its important to know that with cast iron you don't want to use regular dish soap. Rather use salt to clean your cast iron, and fresh water. After washing put on the stove and heat the cast iron until dry, coat with vegetable oil and store it away. This way your cast iron wont rust and will be ready for the next time you cook. Another reason I recommend a heavy cast iron wok is the heat absorption. The heaviness of a cast iron wok absorbs and traps heat, keeping the oil a constant temperature while cooking. Once the cast iron wok is seasoned it wont stick to fats, oils, and meats making it a very useful tool in your kitchen. I recommend the Lodge brand for everything cast iron. I have some of their products and they work great while also being sold at a great price. I also recommend that you have a quality rice cooker in your home for making rice. A quality rice cooker produces the best result. You wont end up with rice that is too hard, or too soft and gummy. With a quality rice cooker you will be able to make consistently good rice every time. Another quality feature of a good rice cooker is that the rice will stay fresh on warm in a quality cooker for many hours without drying out. I highly recommend Cuckoo Rice Cooker, but I realize that it may be too expensive for most people's budgets.